I reluctantly offered her my umbrella as the rain fell on the scorching earth. She bluntly declined. We had met few months back as the flowers bloomed everywhere. However, things started falling apart as we shed all pretences like the leaves of trees outside. Today, I sit huddled all alone and unexpectedly, it feels great. On reaching my 55th post, I decided to publish my first 55 Fiction; as soon as I got free from the phone calls that I have been receiving thanks to my Birthday. Yeah, its right, I turn 24 today, theoretically just a year away from exiting the Brahmacharya Asharam according to the Vedas. Well here's a special scoop for my readers and you must keep it to yourself - this work of fiction is loosely based on my own life *wink* - so if I keep rejoicing loosing a girl, like in this story, then on practical terms, it seems difficult for me to move out of Brahmacharya into Grahasta Ashram, right? 55 Fiction is a short story of just 55 words; a big hit on the Blogging circuit these days. Read this article on Wikipedia to know more about it. I had visited some Blogging community (I fail to recall which one) which was holding a contest of 55-ers and I liked the concept. However, it was Dhiman who recently attempted a 55-er on his blog and hence, I decided to attempt one for myself. I wrote it some days back but was waiting for this 55th post. Co-incidentally, my Blogger buddy, Shilpa too posted one, about an hour ago. The Four Seasons had been actually conceptualised by me as a full blown story, some time back. However, writing it in just 55 words made my job a lot easier as well as pretty difficult at the same time. All in all, it was fun and took about half an hour to complete, with minor modifications later on. Try one for yourself and do not forget to leave a link in my comments' section. However, before that; do tell me, how was my first attempt and also in case you have the time, write your interpretation of this story briefly. This will help me in gauging, if I could convey it properly despite the shortage of words. Meandered in while surfing blogadda. You have a very impressive looking and differnt blog. Your self-deprecating comment about your profile photo brought a smile to my face and a visit to your site..
1. A very Happy Birthday! That's the first one among the FBs! Have a great day and wonderful year! 3. 4 seasons is a wonderful work! I would value this as an excellent philosophical statement rather than a (very) short story. Only an open minded, honest person would understand this. oops. I forgot to wish you. Have a cracking and fun filled b-day. great start at 55 fiction ...!! Happy birthday mate.... and this was a great work of 55 Fiction!! @subhayan.. thnx buddy, i hop my brains dont gt cmpletely cleaned up;) its gr8 2 know tht u liked this post! Vipul,a very happy birthday.Maujan-hi Maujan. Vipul,you write very well.My best compliments. Have a great year ahead in terms of life and blogging! Well, as for the 55 fiction, I liked the concept and I'm going to try it out VERY soon! 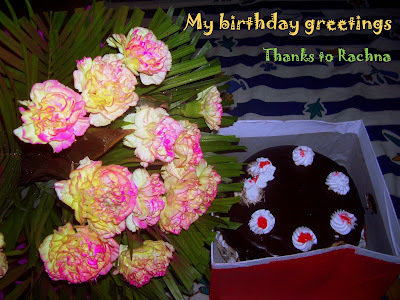 @pawan.. thnx buddy 4 d wishes.. as 4 55er, yup, u shud definitely try one. its fun! I am actual page rank Backlinks provider,I am giving the warranty that all links are powerful and ranked your site with a days.